​Listen live Thursdays on MUN campus radio CHMR 93.5FM from 2 to 4 pm when Angus connects with his audience via facebook. Rebroadcast on fogbank radio. 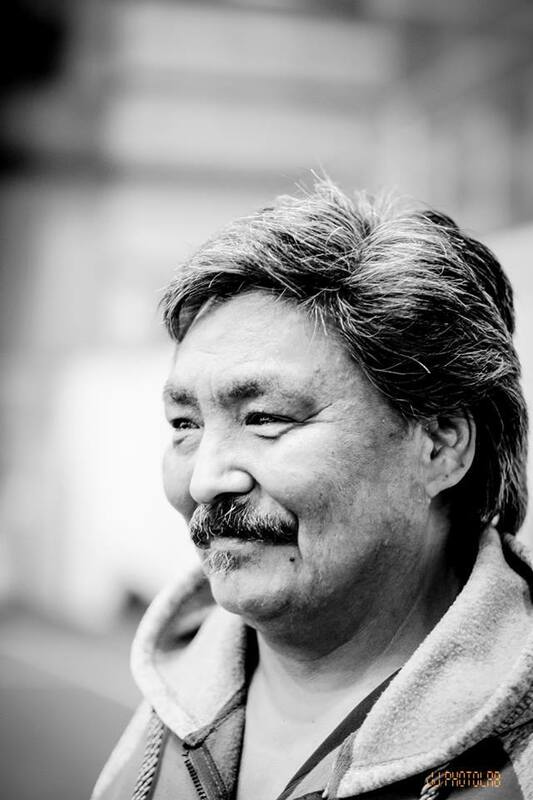 Angus Andersen is an Inuk from Nain, Nunatsiavut with 30 years experience as an Interpreter and Translator. He has worked with the Justice Department, medical departments, educational institutions and in journalism. Angus runs a volunteer organization called the "St. John's Urban Inuit Committee" that helps fellow Inuit residing in the greater St. John's area. Under this committee, he oversees a Community Freezer Program and a monthly meal program he cooks for medical patients from Nunatsiavut that are here for medical visits at the Health Sciences Centre, St. Claire's Hospital and the Miller Centre. Following in his grandfather's footsteps, Angus also does traditional soapstone carvings. He carves only with tools his grandfather used (a hacksaw, files and sandpapers). In the summer of 2017, he started a radio show, which he calls "NunaKakKaasimajut - First people, First Occupants". He speaks English and Inuttut and plays exclusively Aboriginal music from across Canada, Alaska and Greenland. Angus is also a part of the Story Telling troupe that gathers once a month at the Crow's Nest Officer's Club, telling stories of his childhood, lessons of hunting, surviving and keeping the traditional teachings passed down to him from his father, uncles and grandfathers. ​He also works with universities including Memorial University of Newfoundland, University of Toronto, McGill University, Carlton University and Simon Fraser University. As a former journalist, teacher, councillor and counsellor, Angus is always open to helping others that need his help on any topic, as a community-minded person.